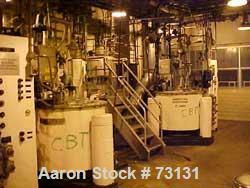 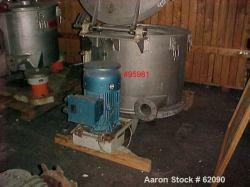 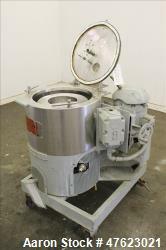 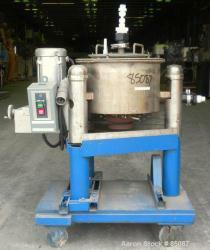 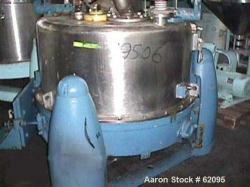 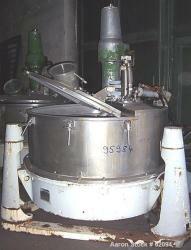 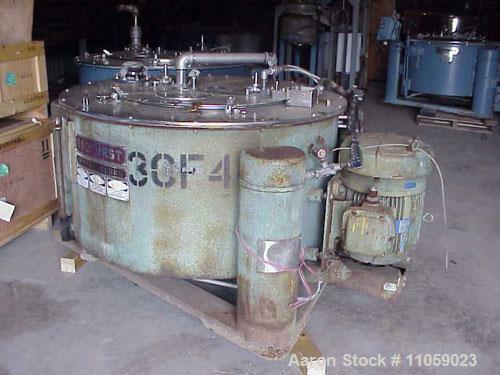 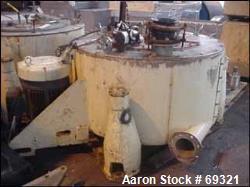 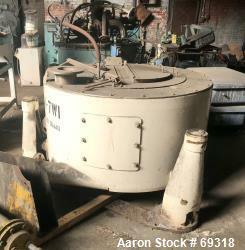 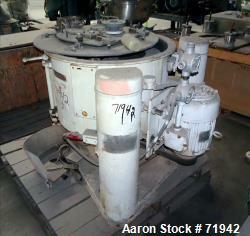 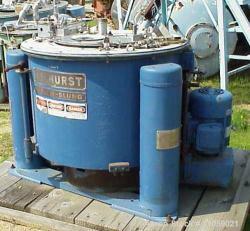 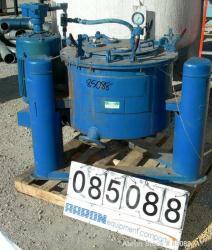 Used-Tolhurst 48" Basket/Batch Center-Slung Centrifuge. 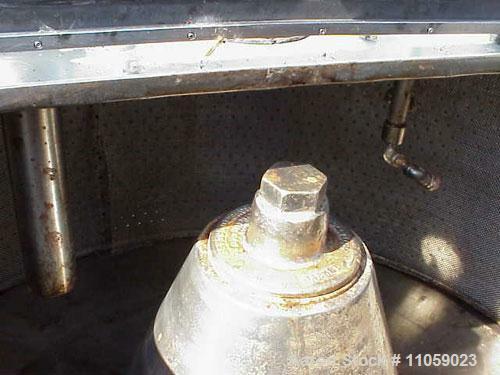 Stainless steel contact parts, perforated basket, top load/unload. 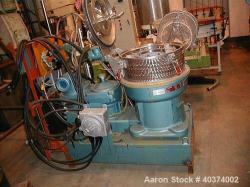 Basket speed 750/375 rpm. 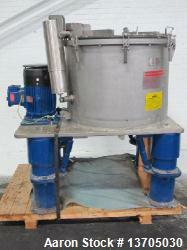 Max bulk density 82.5 lbs/cubic foot. 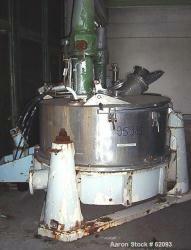 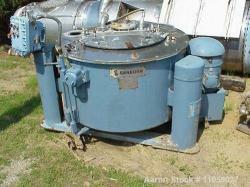 Explosion proof, 7.5/3.75 hp, 460V, 1650/810 rpm, XP control box.